TryFreebies always has you in mind! Based on your demands we have decided to host our own competition just for you! 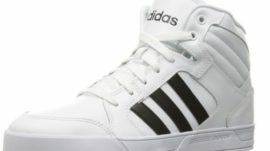 To help spread the word about TryFreebies for women, we are giving away a adidas NEO Women’s Raleigh Mid W Casual Sneaker Shoe to a lucky winner. Enter now to win!